Successfully Added Pen Pinhole Camera with Sliding Lens Cover (FREE 4GB Micro SD Card) to your Shopping Cart. 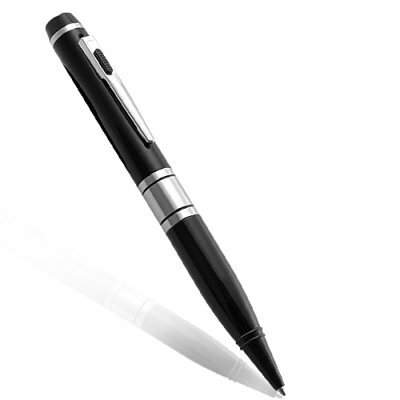 This discreet pen records high quality video, takes instant picture snapshots, and even captures audio. It also uses a near undetectable pinhole lens for on people without suspect. This specific model works like a regular writing pen and even has a sliding lens cover so you can completely hide the pinhole lens if need be. This pen comes with a free 4GB SanDisk Micro SD card for storage, so memory limitations will never be a problem. It’s elegantly designed and built strong using an all metal casing and the latest internal components, so it’s sure to last you for the years to come. Order now while supplies last and we will express ship it to any doorstep worldwide and even include our full one year warranty.